Are you brave enough to hold this bottle of water directly over your head like Jonah has? A glass milk bottle (preferably) or a wine bottle. Do this over a jug or over the sink at first just in case! Fill the bottle right to the top with water. 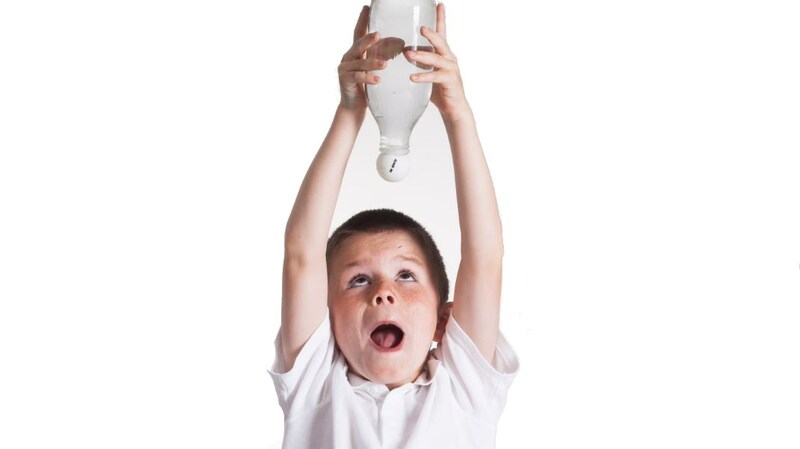 Turn the bottle upside down (over a jug or sink to start with) and the water stays in the bottle. What is happening is that air is pressing on the ball and amazingly the pressure of air is stronger than gravity pulling the water down.